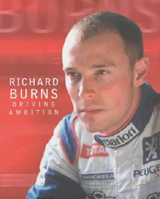 I'd like to take a moment today to mourn the passing of Richard Burns, 2001 WRC Rally Champion. Diagnosed with a brain tumor in 2003, Burns passed away on Friday night. He was just 34 years old. A section for memorials has been started on his web site. His family asks that in lieu of flowers, they would prefer donations to Cancer Research.